What's Beyond Forks? 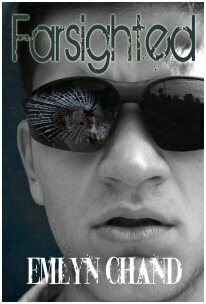 : Farsighted Virtual eBook Tour Part 2: Excerpt from Farsighted! Farsighted Virtual eBook Tour Part 2: Excerpt from Farsighted! We are honored to be the first stop on the Farsighted Virtual eBook Tour brought to you by CBLS and the author of Farsighted, Emlyn Chand. Our stop will be broken into 2 parts: the Interview and this Farsighted Excerpt and Giveaway! fashion. This place is new to me, so I need to be especially careful while moving around. How about that giveaway?? 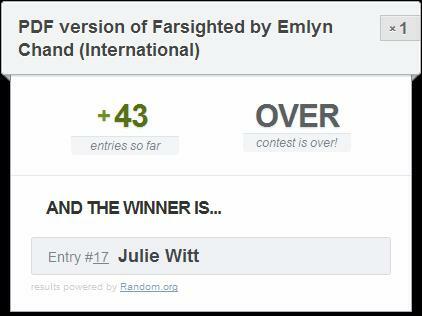 Enter to win a PDF version of Farsighted by Emlyn Chand! If the Rafflecopter form confuses you Watch This. To learn more about Emlyn Chand and her books, visit her Website and Blog. You can also find her on Facebook and Twitter. Nice giveaway, maybe I'll get lucky!